At first glance, the Paleo diet sounds like just another fad diet. Some people choose Paleo because of their values or beliefs, while others may look at the potential connection between Paleo and weight loss. Certainly it has been growing in popularity in recent years – but I wouldn’t call it a fad diet, not exactly. The diet itself is focused on the way that human eating patterns have changed dramatically in recent human history (by recent I mean since the development of agriculture). The theory behind the Paleo diet is that as humans left the Paleolithic society, they began to make bad decisions regarding their eating habits, and many of these decisions have had significant negative health impacts into the modern day. Because of this, the Paleo diet attempts to revert eating habits back to this earlier approach of eating, specifically in relation to avoiding heavily processed and artificially flavored foods that are prevalent in society. In many ways, the Paleo diet is a whole foods approach. With a whole foods diet, the idea is to eat foods in the most natural form possible. However, there is more to the Paleo diet than just that. Instead, the Paleo diet specifically looks at what foods early humans ate and tries to include only those foods. This means that people following a Paleo diet typically cut out any cultivated foods, including wheat. In fact, there are large lists of what is and what isn’t Paleo food. There are also many contested foods, where some people disagree about whether or not they should be part of the diet. The Paleo diet has been popular since around the 1960s, and it has recently re-emerged as an alternative way of losing weight and improving health. Even though the Paleo diet has been rapidly growing in popularity, there haven’t been that many studies that directly consider Paleo and weight loss, or just the health benefits of Paleo overall. One of the reasons for this is that there is significant variation in the Paleo diet, and not everybody follows the diet in the same way. Another reason is simply that the diet type is relatively new and most of its popularity is pretty recent. Regardless of this, some of the research that has been conducted can shed some light on the impacts that the Paleo diet can have on the body, particularly in comparison to modern diets and diet approaches. One study that directly looked at a Paleo diet examined outcomes for 29 patients who had heart disease in addition to either type 2 diabetes or glucose intolerance. Participants were then randomly placed in two groups. One of these groups followed a Paleo diet, while the other group followed a Mediterranean diet, with both groups following their respective diet for 12 weeks. The study found that the decrease in blood sugar levels was strongest in the group that had followed the Paleo diet. However, neither group experienced any weight loss after following the diet (1). A second study also found improved health outcomes, which included improvements in glucose tolerance and insulin resistance (2). While this study reinforces the outcomes of the previous one, it was limited due to a small sample group and the lack of any control group. One of the most controversial elements of the Paleo diet is that it strongly promotes eating red meat, something that is frequently associated with poor health and weight gain. For example, one of the most common criticisms made of the Western diet as a whole is that there is too much fat and too much red meat (3), but this perception isn’t really accurate. Much of this perception is based on the way that people think about fats and carbohydrates. Generally speaking, people obtain the bulk of their energy from either fats or carbohydrates. Since around 1977, the government has strongly promoted a specific approach to eating that promotes significantly cutting down the level of fat and cholesterol within the diet, while increasing the intake of carbohydrates. This perspective has become the basis of many of the most prominent health recommendations in modern times, including the food pyramid, which we’re all familiar with. This argument was based on scientific evidence and medical understanding at the time, but since then, we have learned a great deal more about how the body works, and there are many indications that fat in the diet is not nearly as detrimental as is believed. While the modern diet does tend to be very unhealthy, this isn’t actually the result of red meat and fat consumption. In fact, the prevalence of carbohydrates and refined sugars in the Western diet may strongly contribute to the development of many diseases, particularly as they have been linked to increased strain on the body and cells (4), as well as diabetes and obesity (5). One of the challenges in determining what parts of the diet are healthy and what ones are not is that research often takes an observational or correlational approach. That tends to be the least expensive and practical approach to take to research, but it is also very limited. However, this type of research tends to find trends like a relationship between red meat and heart disease, which often leads to the assumption that it is fat or red meat that is causing the negative impacts to health. The problem is – it doesn’t really work that way. Realistically, there are many differences between the people who eat red meat and those who don’t. Some people eating red meat might be on a Paleo diet, or another type of healthy lifestyle. People in this situation tend to have a wide range of healthy behaviors and make healthy decisions, which extend far beyond whether they eat meat or not. However, many people who eat meat also have unhealthy lifestyles and practices. After all, society has been told that red meat is bad for so long that people automatically cut red meat out when they are trying to improve health. So, most of the people eating red meat are the ones who aren’t paying all that much attention to their health. Because of this, studies into heart disease and red meat consumption have largely used a group of people who eat meat and don’t care about their health as a measure of the impact that eating meat has on health. This isn’t a fair comparison. In fact, experimental research has found that a low-carb and high-fat diet may be more effective for weight loss (6) and the maintenance of weight loss (7). Research has even determined that there isn’t a link between saturated fat and heart disease (8), despite everything we have heard to the contrary. This suggests that the level of fat that is included in the Paleo diet is unlikely to have negative impacts on health, particularly as the diet also dramatically cuts down the amount of carbs. On the topic of meat, I also want to note that it is important to choose food carefully, particularly in relation to meat, but also for fruits and vegetables. For example, grass-fed meat tends to be healthier overall and the process of feeding the animals is much less artificial. This perspective also extends to looking for fruits and vegetables that have not been subject to much herbicide or insecticide treatment. Many people want to know about Paleo and weight loss, and losing weight is one of the reasons that people choose to follow the Paleo diet. Although the main focus of the Paleo diet is on health rather than weight loss, the fact that the diet cuts out many sources of carbs and refined sugars means that it has the potential to contribute strongly to weight loss. In this way, the diet is similar to a low-carb high-fat diet, and these have been shown to be as effective for weight loss as low-fat diets while also offering health benefits (9). Unlike many diets for weight loss, the Paleo diet does not focus on counting calories or on restricting meal sizes. However, this does mean that people have little idea of how many calories they are actually eating. Because of this, people may find that they have to tweak their food choices and meals over time to ensure that they are actually able to lose weight. One study into the Paleo diet and weight loss, using 14 individuals, did result in short-term weight loss (10). The study was very limited, particularly due to a small sample size and not having a control group. Decreases in weight, as well as improvements in insulin sensitivity and lipid profiles, were observed in another study (11), although this study suffered from the same limitations as the previous study. This means that it should only be taken as an indication that the Paleo diet may play a role in weight loss, rather than evidence. Another study examined the role that the Paleo diet played on cardiovascular risk factors when compared to the typical diet that patients with diabetes consume. The authors found that following the Paleo diet resulted in improved diabetic outcomes as well as higher weight loss than through the diabetic diet (12). It is important to note that the lack of research on Paleo and weight loss does not mean that the diet is ineffective for helping people to lose weight. Instead, it is a strong indication that this is not an area that has been studied. Another indication of this is that the studies that have been conducted on the diet tended to be low-quality, often lacking a control group and did not compare the Paleo diet to normal modern eating patterns. Does the Logic Hold Up? The Paleo diet focuses on the idea that the way that humans used to eat is considerably healthier than how they eat currently. The information I discussed earlier in this article shows that this is the case in many ways, however, there are some additional important elements to consider. One issue with the Paleo diet is that there have been some significant changes since the hunter-gatherer period in human history. In particular, at that time in history, humans had to expend a substantial amount of energy to get the food that they needed and to survive in general. This means that the level of energy expenditure at that point in time was much higher than it is now, particularly as people tend to have sedentary lifestyles. This can even be seen in modern hunter-gatherer societies. These societies still tend to be in very good health, but they also do not live the sedentary life that Westerners experience. As such, there are two parts to the equation – diet and activity level. Even with exercise, it is not really possible for people to reach the activity level that our Paleolithic ancestors had, and this is a very important difference. This means that the Paleo diet has to take this difference into account. This is especially true in relation to how much food is consumed and the type of food that is consumed. The Paleo diet does not involve counting calories or limiting the size of meals and is generally based on the idea of eating when you need to and as much as you need to. However, it is still important for people to ensure that they do not overeat, particularly as some of the foods in the diet are high in calories. This doesn’t mean that using the Paleo diet for weight loss isn’t worth trying; it just means that people may find that they need to tweak the diet to make sure they do actually lose weight while following it. As I mentioned before, the Paleo diet focuses on the food that people ate in the Paleolithic era, but the food is only ever one part of the equation. The way we live, act, eat, drink and work is all very different than the Paleolithic era and this is going to have an influence on our bodies. When people follow the Paleo diet, they are attempting to go back to a historical way of eating, but not of living. For example, there are a huge number of Paleo recipes available, many of which are substitutes for non-Paleo foods, like brownies and pancakes made without flour, or even bread. While these foods might use the ingredients that were available in the Paleolithic era, people in that time certainly didn’t eat them in the elaborate meals that we make. Additionally, their eating pattern would have been less predictable than ours, as it was a challenge to get access to food. A final note on this topic is that even the foods that were present in the Paleolithic era are very different now than they were then. Throughout history, humans have used artificial selection to focus on the most desirable traits in plants and animals, resulting in a product that is very different nutritionally than it ever was in the Paleolithic era. This means that any attempt to eat like a person from the Paleolithic era will always fall short. The Paleo diet is based on the way that humans in the Paleolithic era ate and this actually creates a major challenge. One issue is that we do not fully know the eating patterns of our ancestors during this period of time. We can guess based on research, but we don’t really have the ability to be completely certain. Additionally, it is likely that different groups of people had slightly different foods that they ate, particularly as food would be scarce. Finally, the Paleolithic was a long period of time and eating practices would not have been the same throughout the period. This means that people interpret the Paleo diet differently, and there is significant debate about whether some foods should be included or excluded in the diet. For example, one food that is commonly under debate is yams – and this debate often extends to other types of tubers as well. The concept is that people actually have to cultivate yams (something that hunter-gatherers did not do) and that finding them wild would have been a rare occurrence. Another example of a variation is butter, because some people include this within a Paleo diet, while many others do not. This is actually a particularly important variation – because many of the Paleo recipes that are available online include butter or clarified butter. For people who choose to follow the Paleo diet without any dairy whatsoever, these recipes are not very useful. It is also worth noting that people sometimes find it necessary to vary the Paleo diet for their own needs. One significant example of this is athletes, who have very different requirements for nutrients and burn different amounts of energy than the rest of the population. This means that it can be necessary for them to include some foods that would not be normally present. The Paleo diet is interesting, because it is a very driven and intense focus on following a historical eating style. There is certainly significant evidence that people in the Paleolithic era were healthy physically, after all, they did survive. However, the Paleo diet does assume that every change in food that has occurred since that point in time is a bad thing. This means that many people follow the Paleo diet strictly, without considering the health impacts of the food that they choose to eat or not to eat. Likewise, there are also some strange decisions in the diet, such as butter. Paleo diets tend to exclude any type of dairy product, but many supporters of the Paleo diet support the use of butter (often limited to butter from grass-fed animals). For example, I have heard very few good arguments for why butter is included in many variations of the Paleo diet. At the same time, I’ve seen some authors who include butter in the ‘do not eat’ list, but grass-fed butter in the ‘you can eat’ list. So, some people certainly do use butter, even though others following Paleo don’t. From my own experience and research, I believe that the Paleo diet does have the potential to improve health. Honestly, I would recommend it over the standard high-carb low-fat diet in just about all circumstances. However, I do think the diet is limited in some ways, particularly in the way that it excludes some foods simply because of their history, rather than their health impact. The diet is also very strict in what you can and cannot eat, and requires you to make most foods yourself. So, it probably wouldn’t work well for people who are very short on time. Overall, for some people, the Paleo diet may be a valuable approach to health and weight loss, but others may find that they need to modify this diet in some ways to support their own needs. For that matter, there are authors who use the Paleo diet as a starting point and end up with something similar that isn’t quite the same. Dr. Axe is one example of this and he explains exactly why on his site. Likewise, the site Healthy Directions promotes the idea of a modified Paleo diet for weight loss. 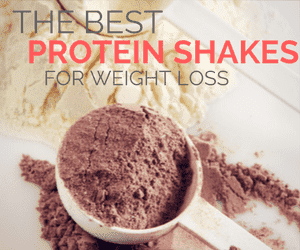 There are also other powerful diets that can be used to improve health and weight loss, such as whole food diets and diets that focus on high protein intake. At the end of the day, the best approach is to find a healthy diet that works for you. This might be Paleo, but it might not be.